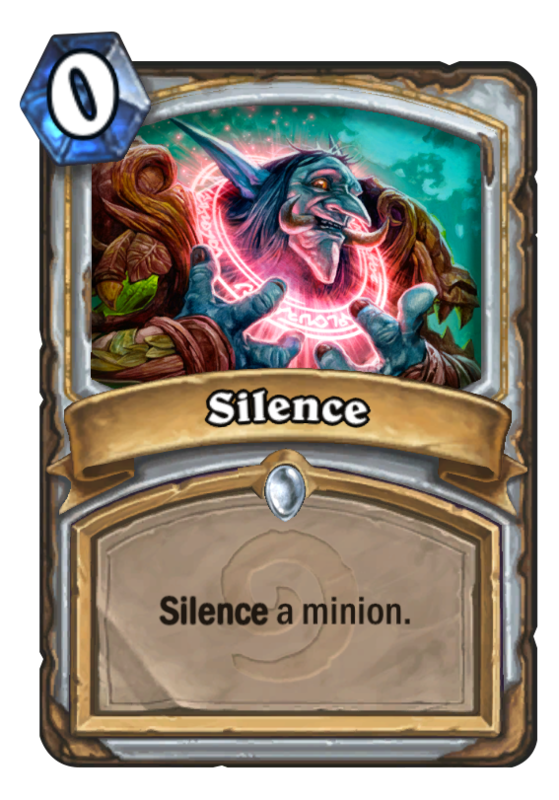 Silence is a 0 Mana Cost Common Priest Spell card from the Classic set! Reserved for enemy spellcasters, evil liches from beyond the grave, and karaoke nights at the Grim Guzzler. Rating: 3.2/5. From 109 votes.